We like to give our customers choices. 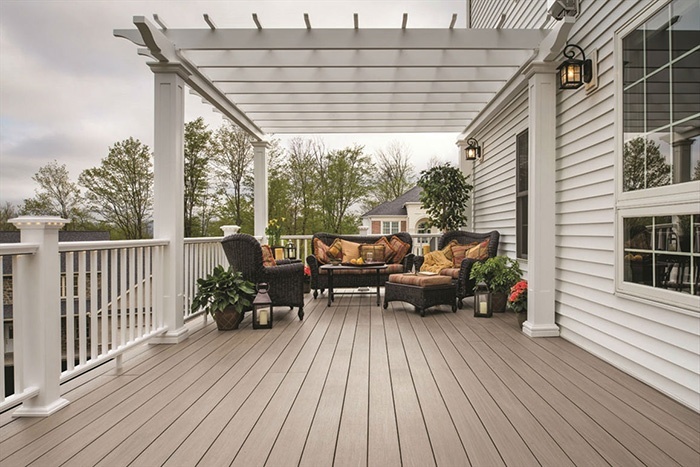 We will work with you to find the perfect type of deck for your needs. Please take a moment to view the different type of materials we provide. 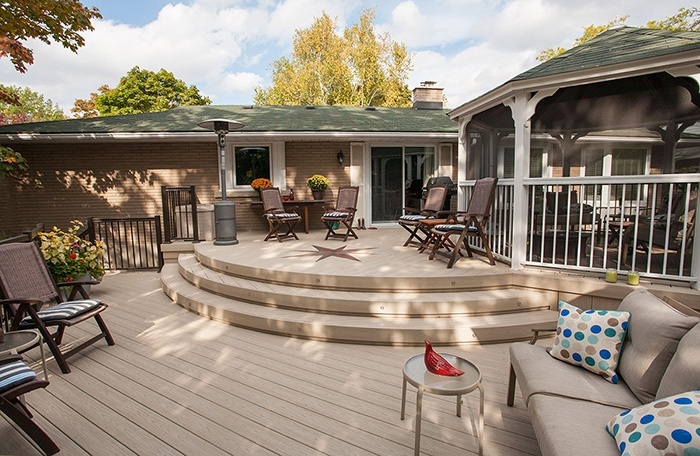 TimberTech composite decking and railing is a revolutionary alternative to traditional wood that doesn’t rot, warp or splinter — and never needs staining or sealing. 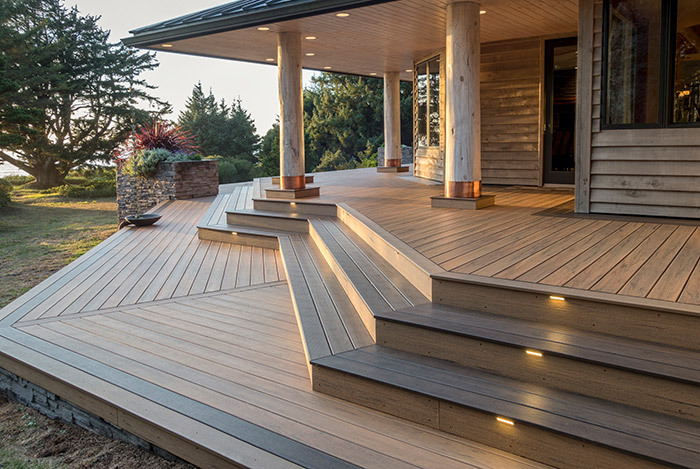 Easy to install and easier to maintain, TimberTech offers you an industry-leading line of alternative decking solutions: more colors, more plank options, more possibilities — and promises you less worry than wood or other composites. Because, finally, your ultimate outdoor living space is for living, not working. Trex takes the natural beauty of wood, but leaves behind all the rotting and splintering. You won’t miss the splinters and neither will your feet. Trex is also a breeze to maintain, so you’ll spend more time relaxing on your deck instead of working on it. And Trex is soft and smooth to the touch, so feel free kick off your shoes and make yourself at home…outside. 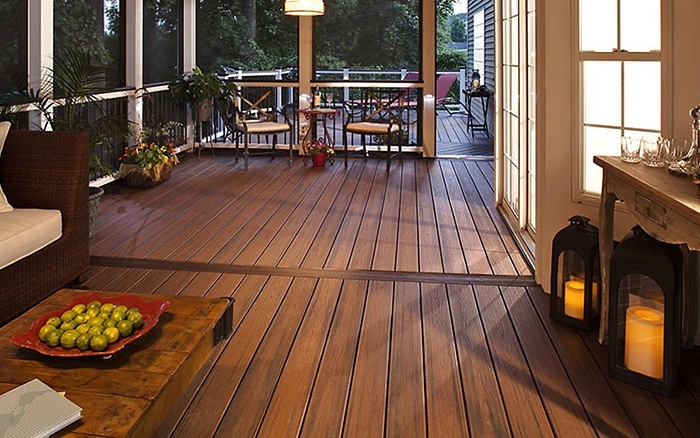 Compression molded composite decking featuring an incredibly true-to-life, deep lasting grain. Designed for those who love the natural look of real wood with low maintenance. Veka decking requires no staining or painting and is available in seven beautiful colors to perfectly complement any home. AZEK Deck made with Procell™ Technology, the next generation of decking to transform your very notion of building a deck. Unlike wood or composite decking materials, AZEK Deck a cellular pvc product, does not contain wood fillers. Our Procell™ Technology allows our boards to resist stains and scratches, yet be workable like wood.